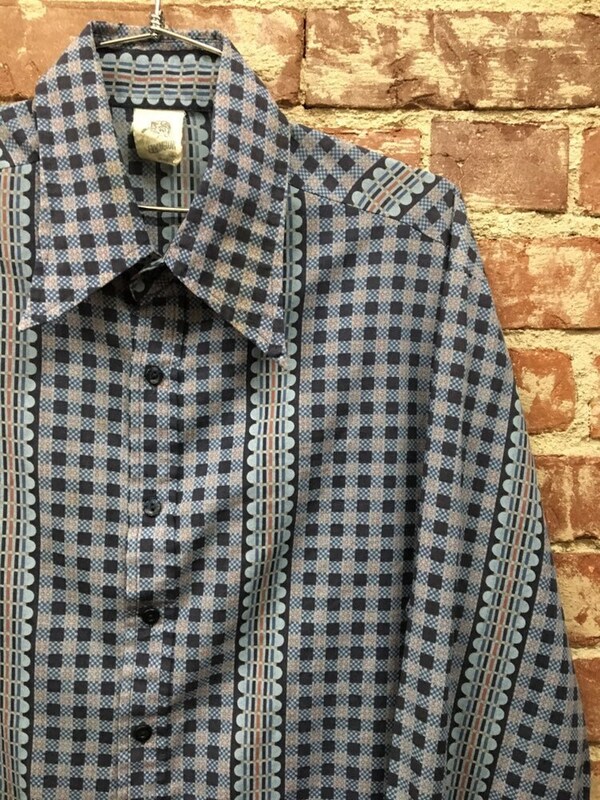 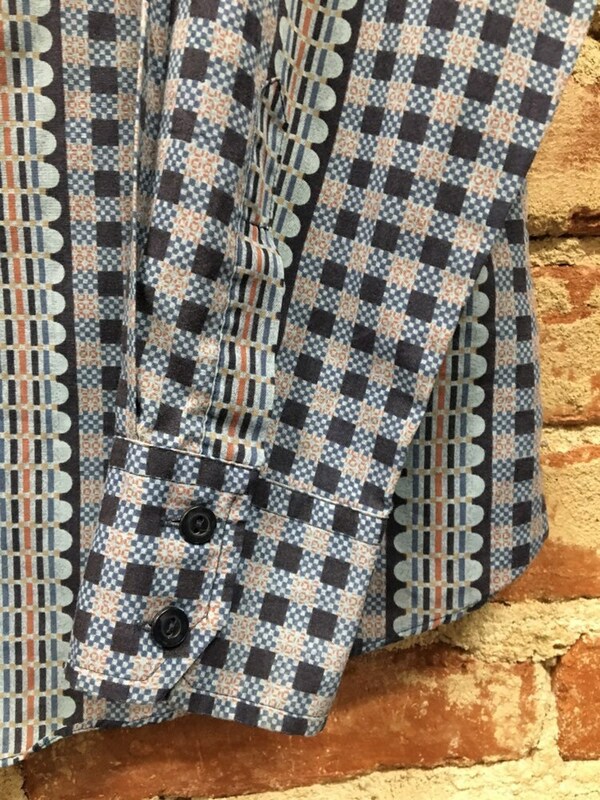 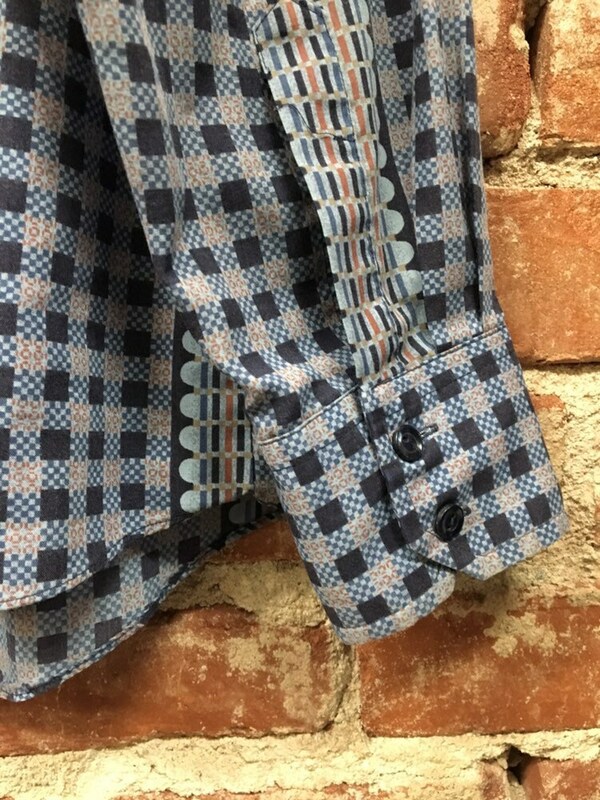 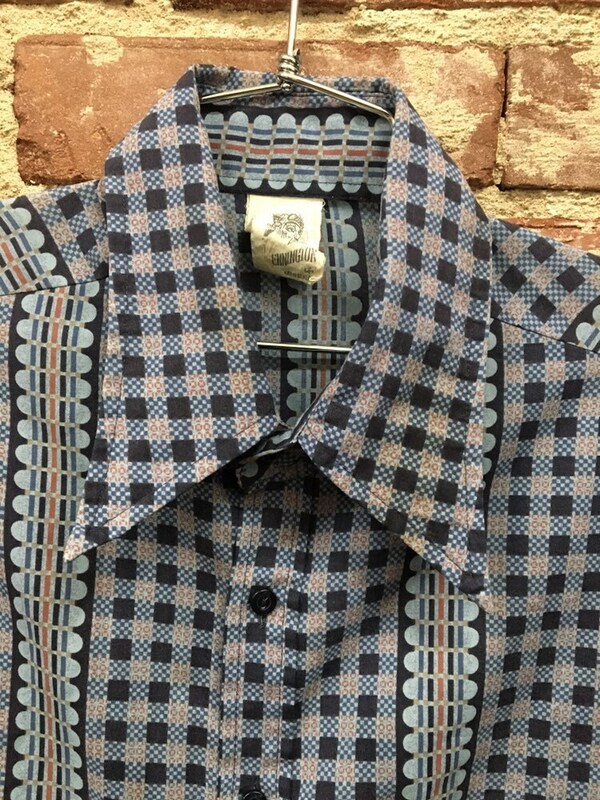 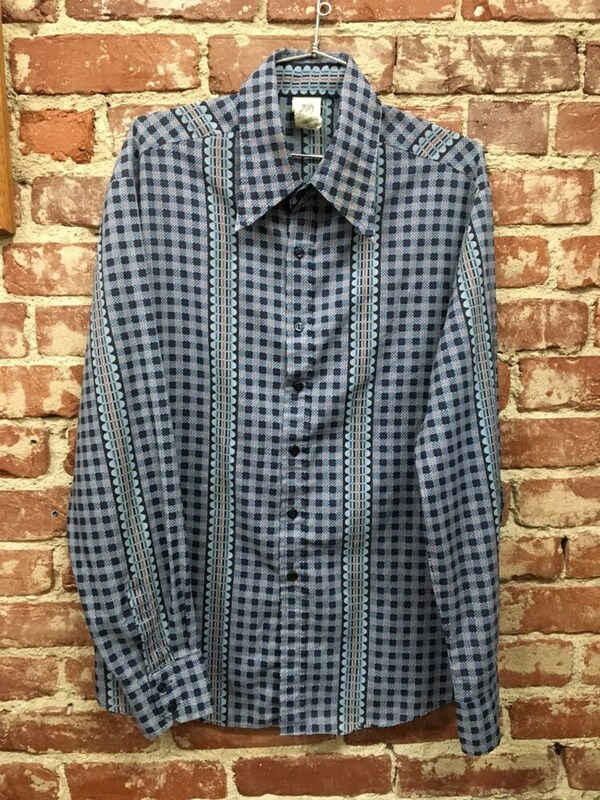 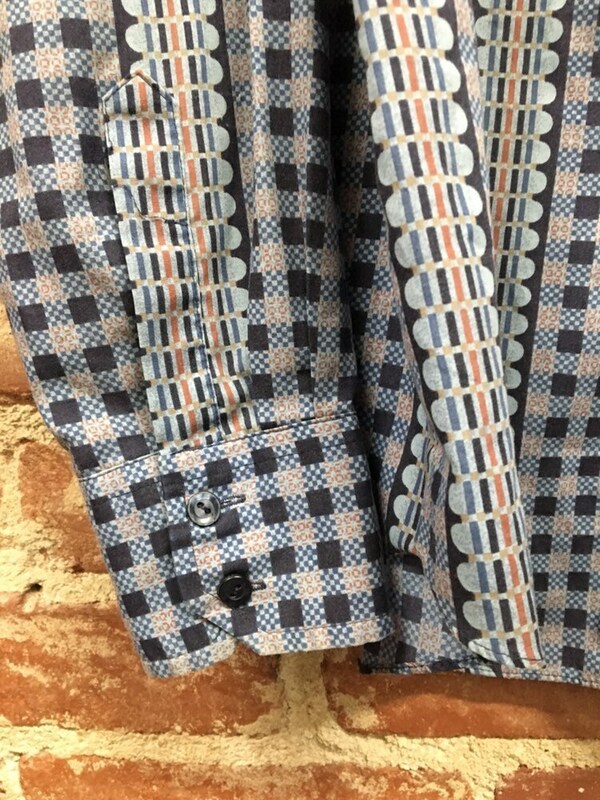 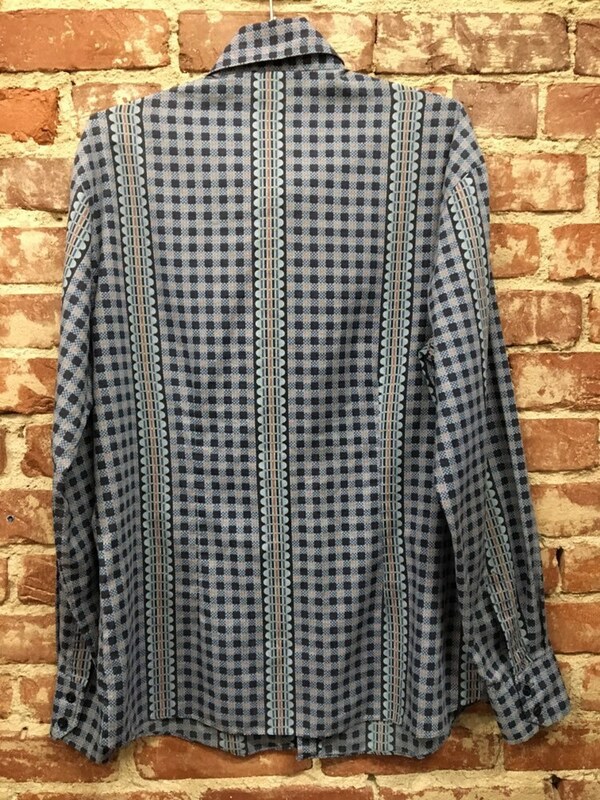 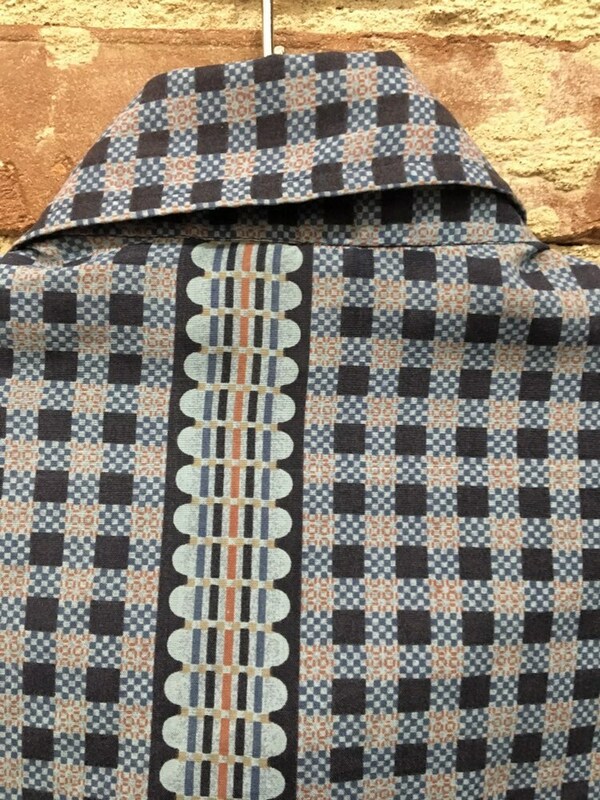 Beautiful men’s seventies Kennington California geometric button down shirt. 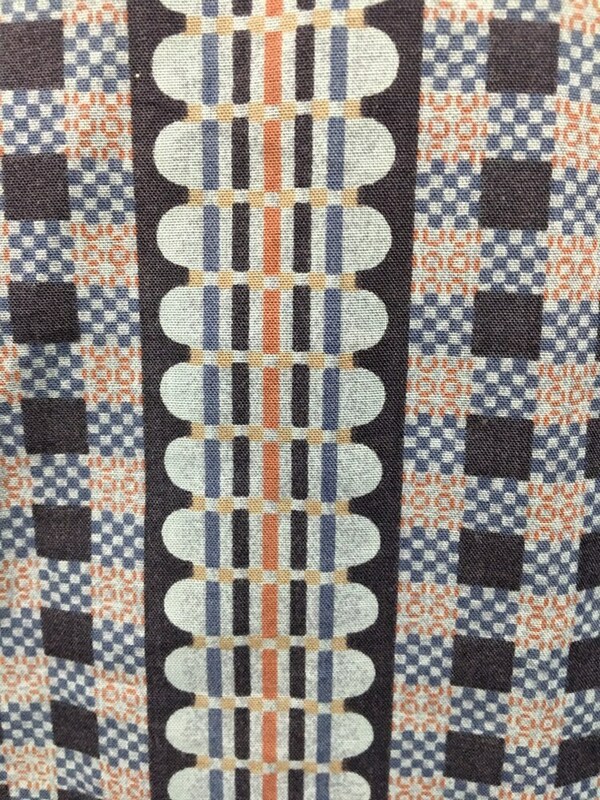 The color scheme and design of the print are brilliant. 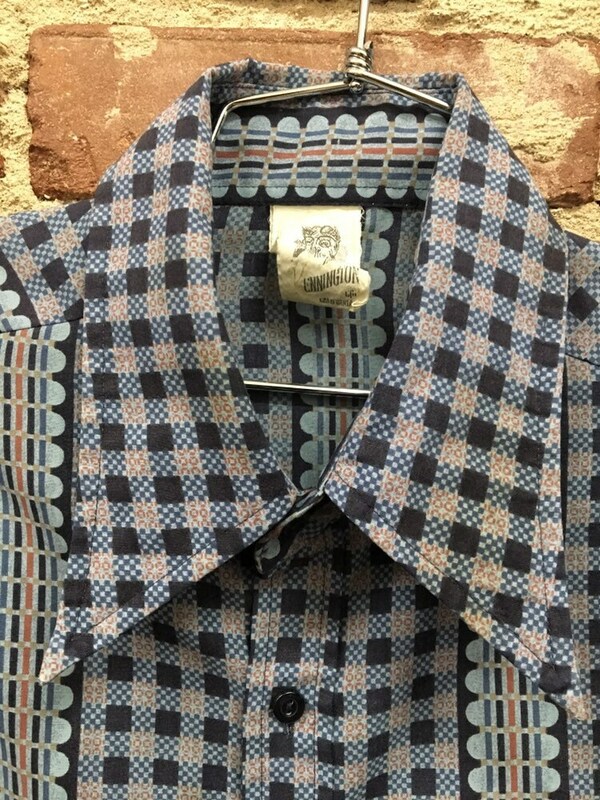 ‘70’s Kennington made beautiful men’s shirt.